Let me tell you something about our neighborhood: it is awesome. Everyone on our little street knows each other. I think this is rare for a Southern California neighborhood – I’ve never known or been friendly with my neighbors my whole life. Each day, right before dinner time, a bunch of the moms on our street gather on the sidewalk and the kids play in someone’s front yard. We really are blessed to have found a house on a street like this. 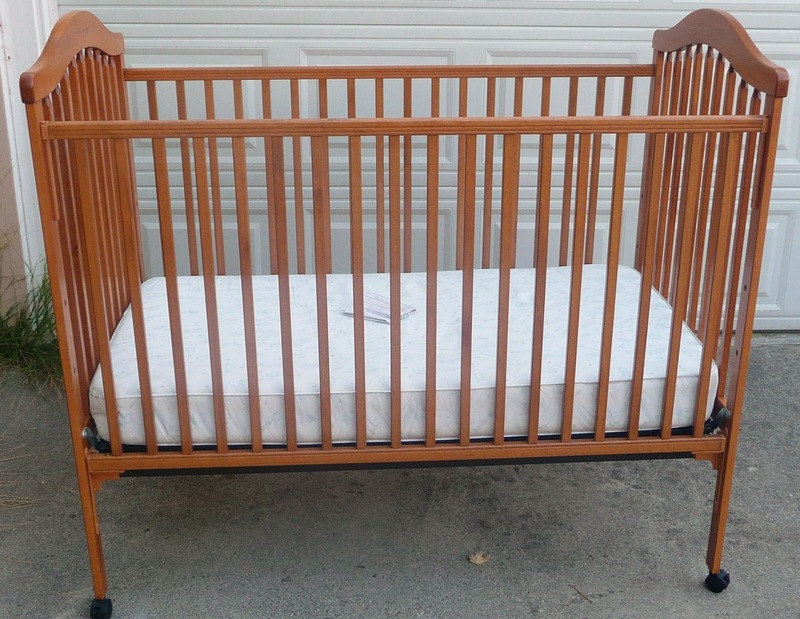 So, when we told our next door neighbors we were pregnant, they immediately offered us their pottery barn crib that they had in their garage. Their daughter is now 9 years old, so I was a little worried about the condition of the crib and said I’d look at it, but didn’t make any promises to take it off their hands. I’m picky about certain things for the baby; there is a specific stroller I’ve wanted forever, I prefer a dresser to a traditional changing table with baskets underneath, and I want a really comfy upholstered glider. 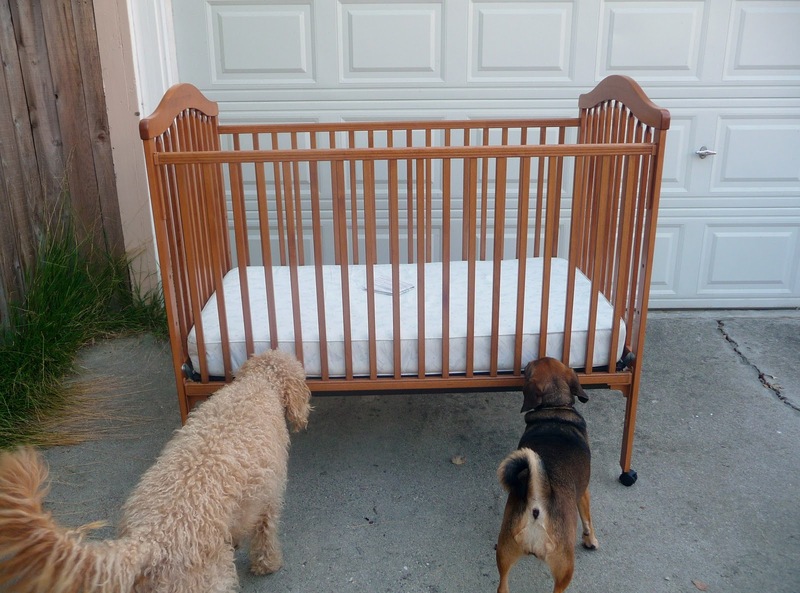 However, I’ve never been very picky about the crib. I want something sturdy and gender neutral. Other than that, I don’t really care what it looks like. I’m not a fan of matchy-matchy furniture sets (all the furniture in a room in the same wood and finish), so it didn’t really matter to me what color or finish the crib was. I knew I would just plan the rest of the room around it. Without further ado, here it is. Thanks Greg, Janet, and Charlotte! I like that it has a traditional shape, but doesn’t scream any particular decade. The color is nice and medium – not too light or too dark. It is in excellent condition (no teeth marks or anything) and the mattress even looks new. Honestly, at this point, anything free is a major plus. We can’t be too picky when it comes to things we can’t afford. That said, I really hope we get everything off our registries because so far that stuff isn’t being handed to us for free! I love the pulls and curved legs of this dresser. The height is perfect for a changing table and the drawers would hide all the necessary equipment. This dresser is often pictured in nurseries on the net. The drawers slide really easily and all that storage space is invaluable. 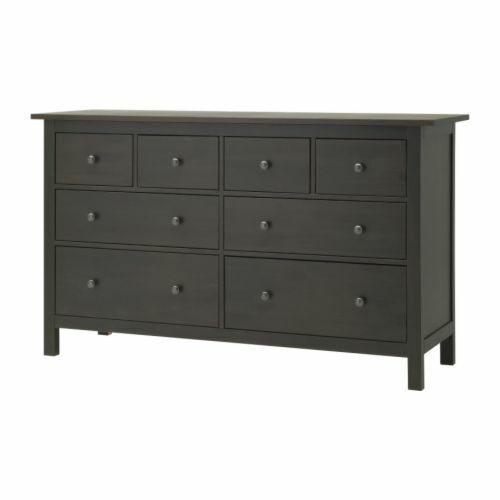 I chose black dressers because I knew I wanted some black furniture in the room. The glider I registered for is gray and I’ll hang white picture ledges for my dream book wall. I’m planning on moving the tree stump side table from Emily into the nursery for next to the glider. This way, we have a mix of colors and finishes, which I think is important so the furniture in the room doesn’t look like it was picked out of a catalog, but collected over time. So, what do you think? Would you take a crib for free, or would you rather buy a new one?